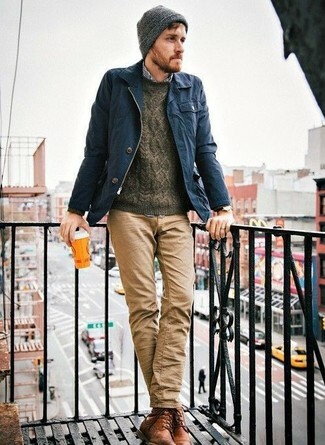 If you're on the lookout for a casual yet dapper getup, rock a grey fair isle crew-neck sweater with khaki chinos. Both pieces are totally comfortable and will look great together. You could perhaps get a little creative in the footwear department and dress up your outfit with black leather loafers. If you're on the hunt for a casual yet seriously stylish getup, try teaming a navy hoodie with Massimo Alba classic slim fit chinos. Both garments are totally comfortable and will look great together. 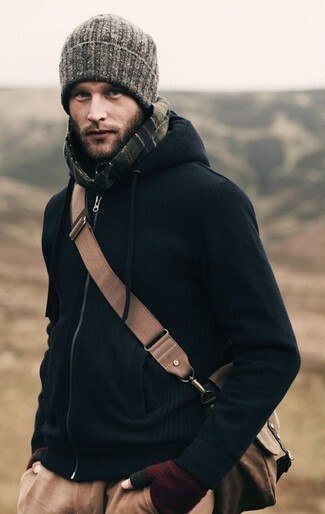 As you can see here, looking on-trend doesn't require that much effort. 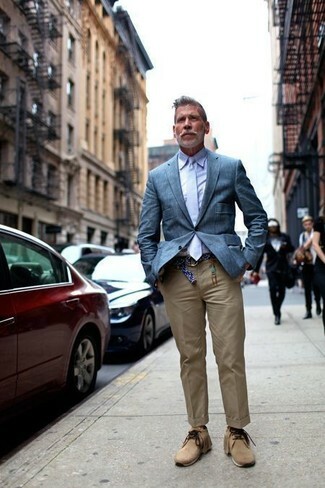 Just make a blue blazer and Massimo Alba classic slim fit chinos your outfit choice and you'll look awesome. 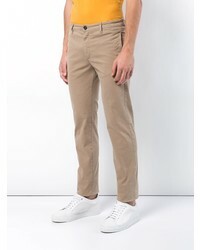 When it comes to footwear, this look is complemented well with tan suede desert boots. 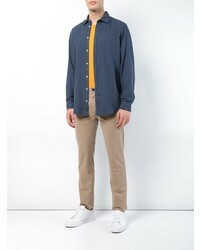 Exhibit your credentials in men's fashion in this casual combo of a navy print long sleeve shirt and Massimo Alba Classic Slim Fit Chinos from farfetch.com. White canvas low top sneakers are a savvy idea to complement this getup. So as you can see, being a dapper dude doesn't require that much effort. 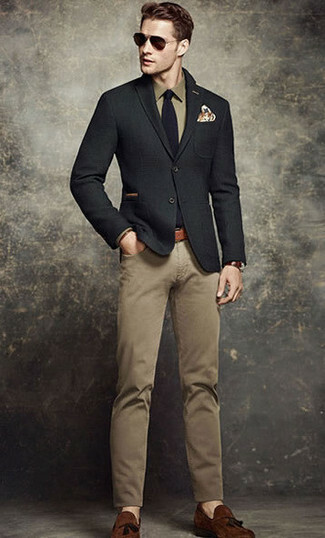 Just try teaming a black wool blazer with Massimo Alba classic slim fit chinos and you'll look awesome. To add elegance to your getup, round off with brown suede tassel loafers. 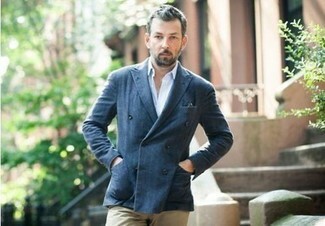 If you're hunting for a casual yet sharp getup, team a navy barn jacket with Massimo Alba classic slim fit chinos. Both items are totally comfortable and will look great paired together. You could perhaps get a little creative in the footwear department and dress up your look with brown leather casual boots. 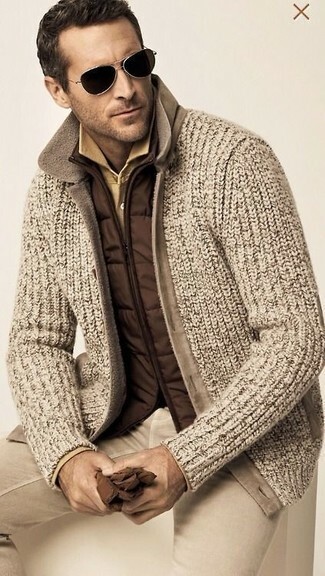 If you're on the lookout for a casual yet stylish outfit, try pairing a brown gilet with Massimo Alba classic slim fit chinos. Both garments are totally comfortable and will look great paired together. 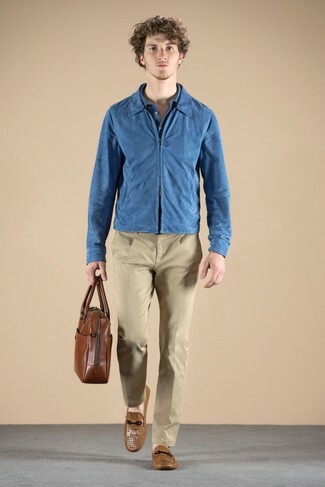 If you're on the lookout for a casual yet seriously stylish ensemble, go for a blue suede bomber jacket and Massimo Alba classic slim fit chinos. Both items are totally comfortable and will look great together. 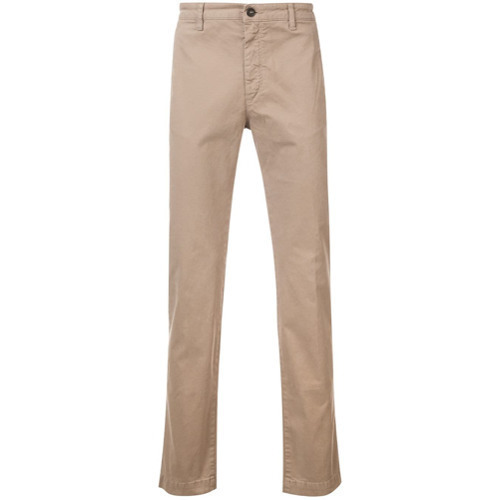 When it comes to shoes, this ensemble is round off wonderfully with tan leather driving shoes. 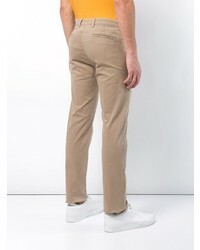 This combination of a double breasted blazer and Massimo Alba classic slim fit chinos is super easy to throw together in seconds time, helping you look seriously stylish and ready for anything without spending too much time combing through your wardrobe.